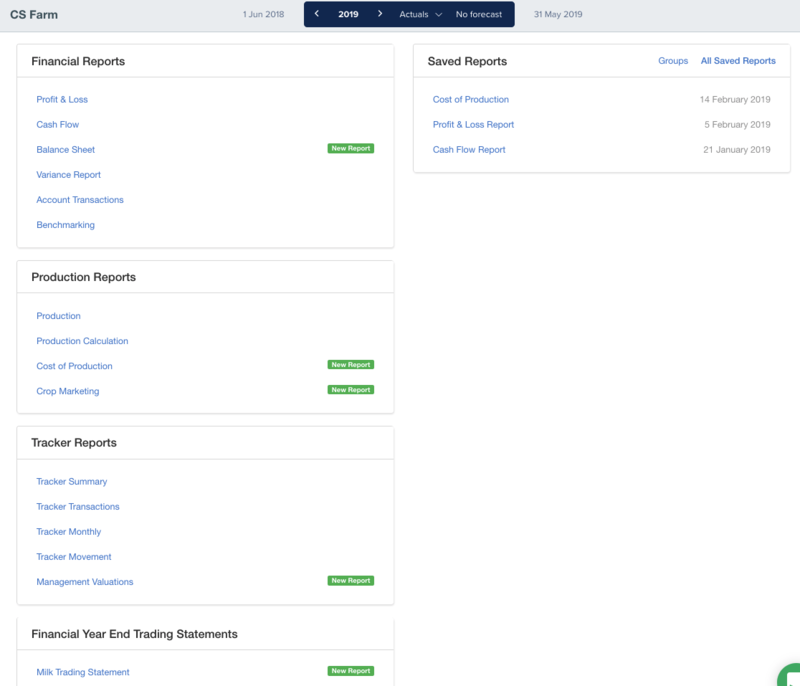 Each report on Figured will allow you to select a period as well as a financial view (budget, actuals, actuals + forecasts, or forecasts) - some reports come with additional options depending on its type. Financial reports look at the financial activity happening on the farm such as a cash flow or a P&L. Production reports are ROI (return on investment) reports to look at the productivity on the farm at an individual income and expense level. Tracker reports let you look further into any information recorded in the livestock production trackers. End of year trading statements can be generated via end of year valuations which can be packaged into your annual accounts. The milk trading statement can be run for variances.